Quick update: I safely touched down in the U.S. after a 24 hour journey from Cameroon. The flights all went smoothly and I’m back home in Vermont. I didn’t have internet for a week so I’ll be posting more stories of my experiences in the next couple days so stay tuned! Published on June 16, 2010 in Fun Stuff, Medical and Medical Mission to Africa. 1 Comment Tags: Didier, Drogba, orthopaedic. During my medical mission in Cameroon, I have learned a great deal about the cultural differences between the Western world and Africa. However, as they say, the more things change, the more they stay the same. It seems like they’re worlds away from an economic standpoint, but when it comes to inter-spousal relations, they’re right in our ballpark. Exhibit A: our friend Philippe came to the hospital on our surgery day, when Dr. Georges and I typically don’t see patients. However, the back story of his plight was just too much for us not to stay a little late and fix him up. Published on June 14, 2010 in Medical Mission to Africa and Travel. 1 Comment Tags: cameroon, video. Published on June 14, 2010 in Medical and Medical Mission to Africa. Closed Tags: AIDS, cardiac gallop, HIV, hospital, hysterectomy. I’ve spent the last two Fridays traveling to and working at a small rural hospital with Dr. Bwelle. The hospital was established by a Spaniard and his wife who were both doctors from Barcelona and studied tropical medicine. They went back to Spain for a year and arranged for Dr. Bwelle to come to the hospital every so often to check on patients, do operations, and perform patient exams and interviews. Despite an amputated leg due to infection, he had a stellar disposition. Published on June 12, 2010 in Fun Stuff, Medical Mission to Africa and Travel. Closed Tags: africa, cameroon, football, lions, soccer, worldcup. I don’t know how to put this, but the World Cup is kind of a big deal. Even in the United States, perhaps as a result of hosting the 1994 World Cup, the popularity is rising, whereas in the rest of the world, it’s all-consuming. This is Eto'o. More popular in Cameroon than God or Allah. Cameroon is a huge soccer country. Where ever there is a flat rectangular area, or just a flat area for that matter, children or adults have erected makeshift goals. Young and old can be seen playing in the morning, at lunch, after school, and also when they’re supposed to be at work. If you want to come to Cameroon, but you’re worried about not knowing French, well, learn to play soccer instead. The most widely used language in the world is football (soccer). Published on June 10, 2010 in Medical and Medical Mission to Africa. Closed Tags: ascovime, bwelle, cameroon, cost-shifting, donations, israel, malaria, medications, surgery, yaounde. I’m sure those of you who contributed to this cause are wondering exactly what kind of an impact you made, and those yet to donate want to see what they can do. As of today, $2,600 USD have been raised by the people listed here. First of all I’d like to once again thank everyone who made a contribution, whether it was $3.00, or whether it was $300, because everything counts, especially in Cameroon. For reference, $3.00 will buy a breakfast, lunch, and an accompanying drink, with a little to spare. Over 50 people made a contribution – college students, teachers, friends, and people I don’t even know – pretty amazing. Donations came in all forms as well, via internet, in the mail, hand delivered cheques, and inebriated cash donations at a bar. So I thank you! Let me first give you the context of how much value your donations had. Dr. Georges Bwelle, the surgeon who leads the whole organization, is a GI surgeon at the Central Hospital in Yaounde, Cameroon, the capital and second largest city. Yaounde has 1.43 million inhabitants, more than two Bostons, and would rank as the 7th most populous city in the U.S. The point is that there are a lot of sick people, and that any person who works in a big city, specifically a doctor will make a substantial amount in the U.S. It seems reasonable I suppose, there’s a lot of schooling involved, a lot of responsibility, long hours, but doctors don’t really do it for the money, especially not in Cameroon. Doctors in Cameroon are viewed as civic servants and they are paid that way. The average surgeon in Dr. Bwelle seniority level makes approximately $500 a month, that’s $6000 a year. Let’s think about that for a second. Published on June 9, 2010 in Medical Mission to Africa and Travel. Closed Tags: africa, American, corrupt, economics, mellencamp, navy, oklahoma, poverty. Each morning when Andre, Kevin, Kevin, and I drive to the American School together from Bastos (district of Cameroon), we seem to have a similar recurring conversation: why is Africa in the state it is? But first, what is Africa? Typical conversations focus on the negatives as both Kevin and Andre are frustrated with privileged students at the American School of Yaounde who feel they are entitled. Corruption in the country is rampant, well at least more obvious than in the United States. Allow me to give an example: There is ongoing construction to build another building next to our apartment in Bastos. During the week, there is little activity, but once Friday evening rolls around, suddenly a concrete mixer and 30 workers show up. They “work” through the night, pouring concrete about half the time, drinking and yelling the other half. It’s loud, and it’s literally right outside our windows. What to do? Typically in the U.S. you would call the police and they would show up and hand out noise violations. Unfortunately the police are useless here, often taking bribes (I’ve only seen one police car here the whole time anyway). So whoever is running the construction operation has most likely paid off the police for the noise reason and for the fact that he probably doesn’t have a permit to be working on the weekends (why wouldn’t he work during the week?). Anyway, our theories about the existence of entitled students and corrupt business practices usually finds its way toward culture and education, both of which seem to go hand in hand. Among world culture, I have found it commonplace to always complain about problems but never to do anything to solve them, i.e. Monday morning quarterbacks in the U.S. Kevin the school counselor, and Andre the teacher have taken a different approaches. Published on June 8, 2010 in Medical Mission to Africa and Travel. Closed Tags: American, consult, hospital, orthopaedics, school, yaounde, yellow fever. The original focus and objective of this whole trip was to lend a hand when it came to the pro bono medical missions on the weekends. As those trips are only Friday through Sunday, how I’m spending my time during the week is probably a mystery at this point, and certainly was for me as well. Each weekday, I wake up around 6am, scramble to make some breakfast, and leave the apartment at 6:30am with Andre, Kevin I, Kevin II. Andre is currently hosting me in the spare room in his apartment because he is very generous and his wife also left Cameroon early for southern France, where the two share a home. Andre and Kevin I both work at the American School of Yaounde (ASOY), Andre as a teacher and Kevin as a counselor. Kevin II is a hired driver of Kevin I’s car, more about that in a later post. Published on June 7, 2010 in Fun Stuff, Medical Mission to Africa and Travel. Closed Tags: africa, bastos, bidet, cameroon. Yes, I am serious, very much so. Although I can’t say I’ve used one yet, and it’s been over a week. Upon our return from Maboye, the rural village of the first medical mission, arranged for me to stay somewhere other than at his home. The switch certainly wasn’t per my request but I’m very happy at the new apartment. 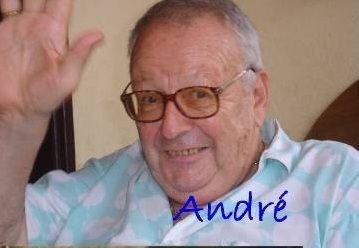 Dr. Bwelle traded me to Monsieur Andre Orban, who is a teacher at the American School of Yaounde and was also a member of the medical volunteer team dispatched to Maboye the first weekend. Mr. Orban is older Belgian man who speaks Flemish, French, and English all at a very high level. He’s spent time working for Exxon Mobil all across the world, Belgium, South Africa, Nigeria, and Cameroon. Now he’s retired and is teaching for pleasure, although at the end of the school year the teachers are as fed up with the lackadaisical students as the students are with attending class. Published on June 6, 2010 in Fun Stuff, Medical Mission to Africa and Travel. Closed Tags: baptism, cameroon, dr., shower. Every hearty Vermonter, or cold-weather inhabitant for that matter, knows the feeling: the desire to do nothing other than shower. After a frigid game of pond hockey or a long day on the windy slopes, the numbness in your extremities seeps through to your core. It’s a cold, wet sensation that only a hot shower or bath will remedy. That’s what driving back from the jungle felt like. Not only did I not shower during the weekend in Maboye, but the only shower I had taken since I arrive on May 27th was pouring rainwater on me using a cup. Spending the weekend sweating through a set of scrubs and one set of street clothes, I was smelling like the damp sock you left in your high school gym locker after playing soccer in the rain, to put it politely. A shower was all I wanted. However, Dr. Bwelle had other plans for us, he always does. One of Dr. Bwelle’s very close friends, a minister of commerce I believe, was hosting the celebration for his son’s baptism, a very big deal in Cameroon. We were all apparently invited. Had they known the state that we were in, perhaps they would have retracted the invitations. Never-the-less, Dr. Bwelle assured us that it was fine and I was later informed that part of the measure of your social status in Cameroon is how well you host a party for guests. Sure this is partly a measure of how much money you have, but I must say that the U.S. could use a little more social measurement by how well you share with those around you.